Hot Racing LCG skid plate performance chassis conversion kit for the 1/10 scale Traxxas slash 2wd buggy. side steel wire Nerf bars with carbon fiber brace reduce chassis flex and provide a convenient location if you wish to use the stock receiver box. 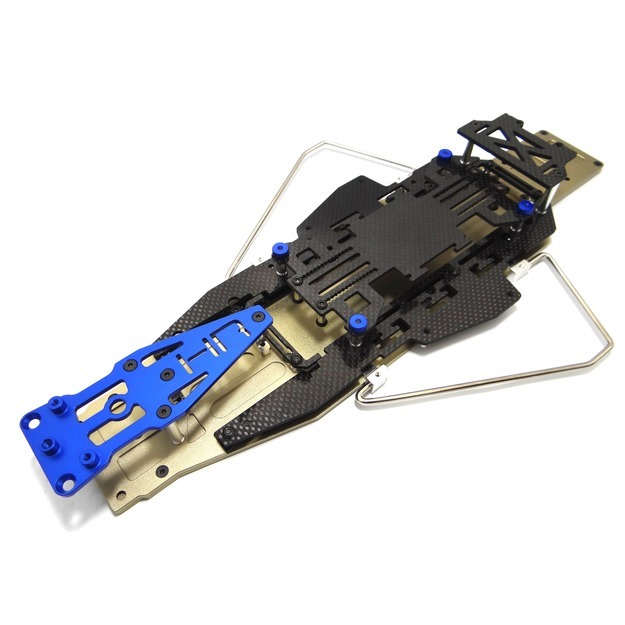 hard anodize skid plate protect your chassis and mounting screw. everything you see in the picture.